Facing criticism for not seeking approval from AICTE for B.Tech courses being offered by its 24 colleges, Delhi University has directed the principals concerned to do the required in this regard, with barely a few days remaining for the deadline. 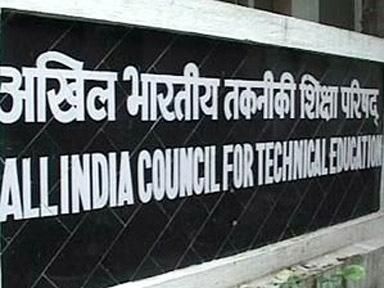 The colleges were asked to seek support from the All India Council for Technical Education (AICTE), but DU still needed time for the February 20 deadline. In an official communication to the principals, the Pro-Vice Chancellor, DU, said, “The University is solemnly seized of the matter of seeking AICTE recognition for B.Tech programmes that are being offered in the colleges at present. The process to be followed for seeking this approval shall be initiated by your office.” The colleges need to send applications for AICTE approval latest by February 19. DU teachers, last week, demanded the VC’s involvement in the issue as students held a protest regarding the same outside the Arts Faculty. B.Tech programmes in Computer Science, Electronics, Food Technology, Instrumentation Electronics and Polymer Science were introduced as a part of the Four-Year Undergraduate Programme (FYUP), scrapped last year following UGC intervention. UGC had, however, directed DU to continue with the B.Tech programmes but only for students admitted in academic year 2013-2014. DUTA President Nandita Narain, however, said that no directives were given out earlier. “We have got the guidelines now and we will proceed with the needful. No directives were received earlier,” commented a principal, on the condition of anonymity.